3. 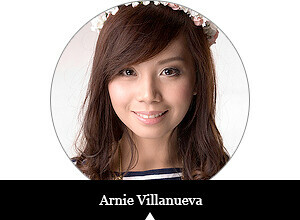 Tweet this: "I want to attend @schu_shop and @myth_boutique's FREE Weekend Workshop on Oct. 13 at the #SchuFactoryOutlet with @listentoarnie"
I'll announce the winner on October 12, 2012. 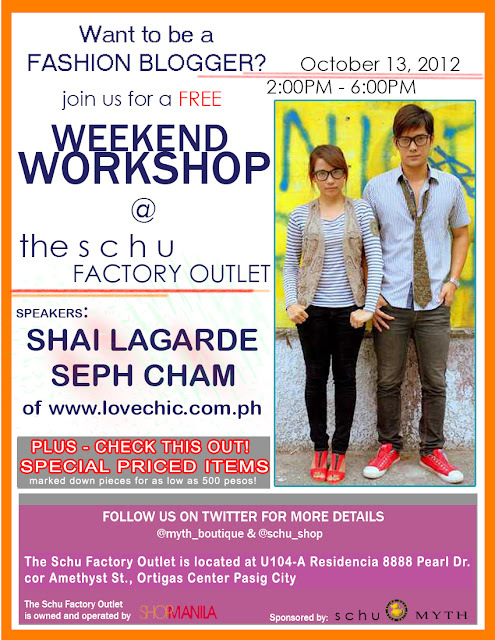 Remember: This event's going to happen on October 13, 2012 (Saturday), 2PM at the Schu Factory Outlet (U104-A Residencia 8888 Pearl Dr. cor. Amethyst St., Ortigas Center Pasig City).